Amazon Smile is a simple and automatic way for you to support your favorite charitable organization every time you shop, at no cost to you! 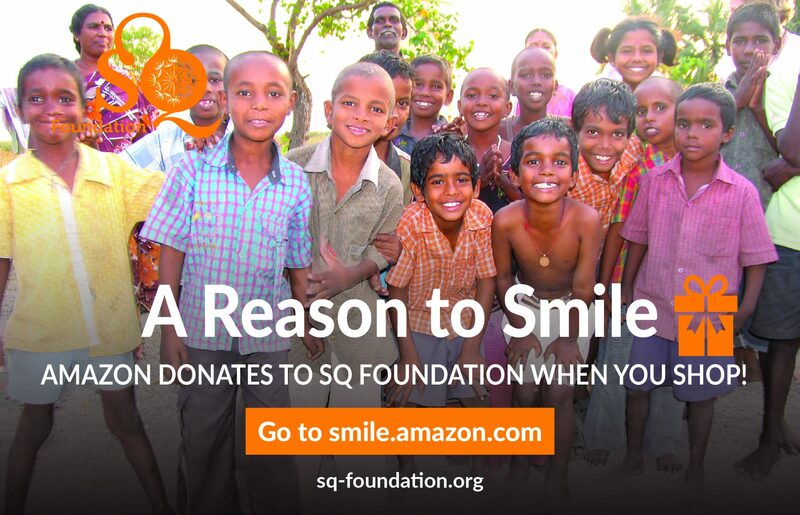 When you sign up, you’ll be prompted to select a charity, just look for SQ Foundation. For every purchase you make, Amazon donates. 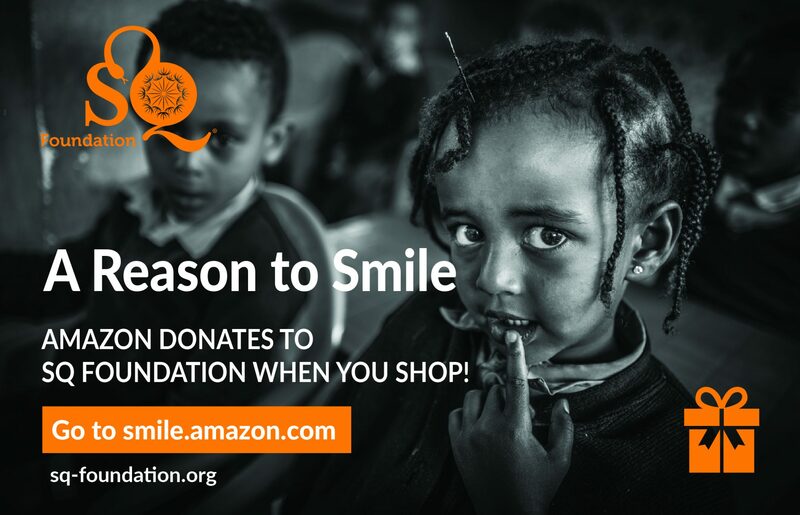 Don’t forget to shop at smile.amazon.com for holiday gifts, birthday presents and day-to-day supplies and automatically help #OurChildren in India and Ethiopia. 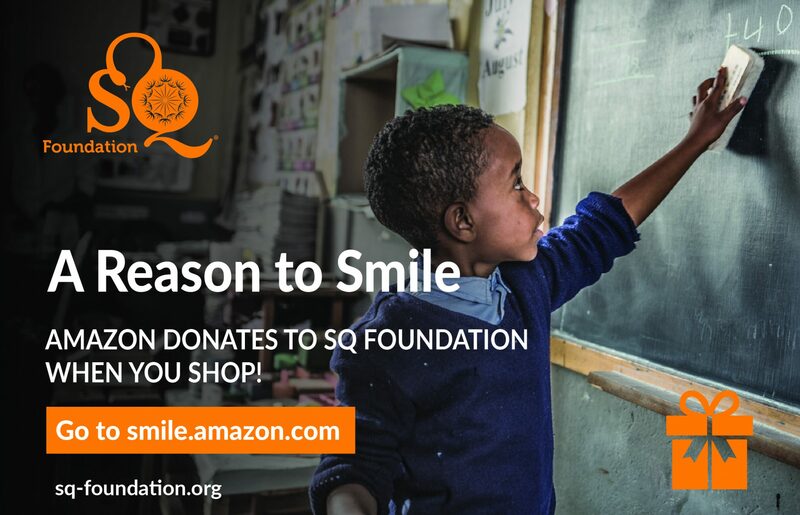 Encourage others to support SQ Foundation every time they shop online at Smile.Amazon.com by sharing our ‘Reason to Smile’ images with friends, family or at work. You can save the images and use them on social media (right-click to ‘save as…’). Or download a print-ready version of the postcard (via the ‘download’ button). The print-postcards are designed and sized for vistaprint oversized postcards. A heart-felt thank you to all those who support #OurChildren at SQ Foundation. Enjoy this short video of how your generous donations are being put to work to provide education, healthcare and love at a few of the schools we support in India.